Exactly thirty years ago, the Supreme Court of Canada ruled that existing abortion provisions in our nation's Criminal Code violated a woman's Charter rights to the security of person, and were thus unconstitutional. Since that ruling, there has been no criminal law regulating abortion in Canada. Yet, Mr. Justice Gerard Mitchell, retired Chief Justice of Prince Edward Island, has noted that at the time of the 1988 Morgentaler decision, "none of the seven judges held that there was a constitutional right to abortion on demand". In fact, "all of the judges acknowledged [that] the state has a legitimate interest in protecting the unborn". Despite the heroic efforts of countless Canadian citizens and organizations to secure in law that full protection for the unborn, a succession of federal governments has failed to take any decisive action. Canada today is one of the only countries in the world in which abortion continues to be permitted at every stage of pre-natal development and for any motive. Legal or not, every abortion involves at least four victims: the unborn child, the mother, the father, and the community. The mother's actions, whether coerced or freely chosen, leave her wounded – in many instances for the remainder of her life. Abortion can also cause destructive tensions between the parents themselves and with their families. While unrestricted access to abortion continues to be touted by some as the guarantor of women's freedom, the truth is that abortion does nothing at all to address the very real challenges which confront a woman when she finds herself facing an unintended pregnancy. Nor does it address any of the other conditions in a society that unjustly limit a woman's freedom. Abortion merely makes it easier for society to avoid its moral obligations to ensure protection and shelter for the most vulnerable – expectant mothers, the unborn child, and all who are in need. Abortion is never a solution. From its very beginning, and throughout its history, the Catholic Church has consistently taught that human life is sacred, and derives its value not from any measure of "usefulness" but from its origin, hidden in the creative power of God, and from the eternal destiny to which it is directed. The intentional killing of innocent human beings at any stage of development is always gravely wrong. 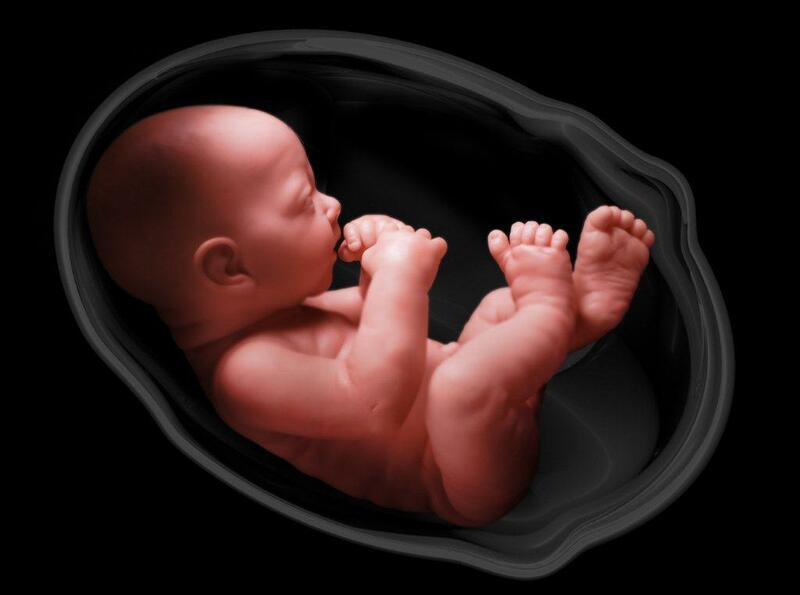 The life that begins at conception is that of a unique and irreplaceable human being; a life, like all others, at least in some measure dependent yet genetically distinct – a human life, full of potential. As proclaimed in The Universal Declaration of Human Rights (1948), we hold that every member of the human family enjoys the right to life. Today, the sciences of embryology and genetics have placed the humanity of the unborn child beyond question. That a new human life comes into existence at conception is not, as some suggest, "a theological opinion"; reason tells us that each human life has the right not to be killed. As Canadians, we take pride in our record of upholding international human rights – while at the same time failing to provide the most basic protection for the child in the womb and so contradicting and eroding our own humanity. In our country, in order to create a society which recognizes the inherent value of human life, we need to do more in making the choice for life a real option and opposing erroneous notions of "freedom" and "autonomy" which pit the welfare and rights of the individual against those of his or her neighbour, friend, or unborn child and thus also against the human community. What impoverishes one impoverishes all; what enriches one enriches all. To those who have succumbed to the pressures to abort, we hold out the promise of divine forgiveness. God, who is full of mercy and compassion, desires the friendship and healing of all. With great hope and thanksgiving, the Catholic Bishops of Canada recognize that respect for life and opposition to abortion is not, as some have asserted, merely "the Catholic" position. Over the course of the last decades, many of our fellow Christians, members of other faiths, and those of no faith at all, have worked tirelessly with members of our own communities to uphold the value of human life from the first moment of conception. Through these collaborative efforts, countless vulnerable lives have been protected and mothers assisted; couples struggling with infertility have experienced the joys of parenthood; and mercy, forgiveness and healing have been celebrated and shared throughout the community. It is our prayer that this unity of purpose may continue to grow and flourish and that in the near future Canadian law will offer protection for the lives of the unborn. Let us continue to try hard and do what is right so that the most vulnerable among us will one day benefit from the protection which they are owed.